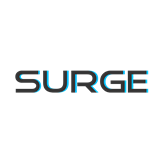 At Surge, we create custom software development for many clients in many different industries. We embrace telecommuting. When you work from home, your day is what you make of it. If you work better in the evenings, then work in the evenings. If you're a morning person, work in the morning. At the rate that our business is growing, we're constantly in need of talented, dedicated, competent team members. We have a diverse team of product managers, ux designers, web/mobile software developers, solution architects, and software testers to name a few. Regardless of which language platforms you know or don't know, we have need for the mainstream open source as well as niche platforms. Once you join our team, you'll be able to work from home, choose your own hours, get great pay, and work with talented people who love their job. These past few years have been busy for us. We've made the Inc. 500|5000 list two consecutive years, and this year is setting up to make it three years in a row. It's an exciting time for our company and a lot is getting accomplished. We work with businesses of all sizes and clients of many industries. You'll work with Fortune 500 clients, to small tech startups. Build your portfolio as you build their dreams. Even if we don't have any specific job opening posted down below, chances are we'll have something opening up soon. So, reach out to us and ask. We're always looking to expand our portfolio of platforms, so if you're specialized in something that isn't listed above, just let us know.